Jojoba oil can be used for facial cleansing. Oil only facial cleansing methods provide you with a natural alternative to harsh chemically-laden facial cleansers. Jojoba oil is an organic emollient that prevents moisture loss and skin dryness, according to U Healthy, a program run by the Northwestern Health Sciences University. The jojoba oil cleansing method can be used to clean the face and remove makeup. However, this method should not be used more than once per day. Pour a quarter-sized amount of oil into the palm of your hand. Rub your hands together to warm the jojoba oil. Massage the jojoba oil into your face for approximately five minutes. 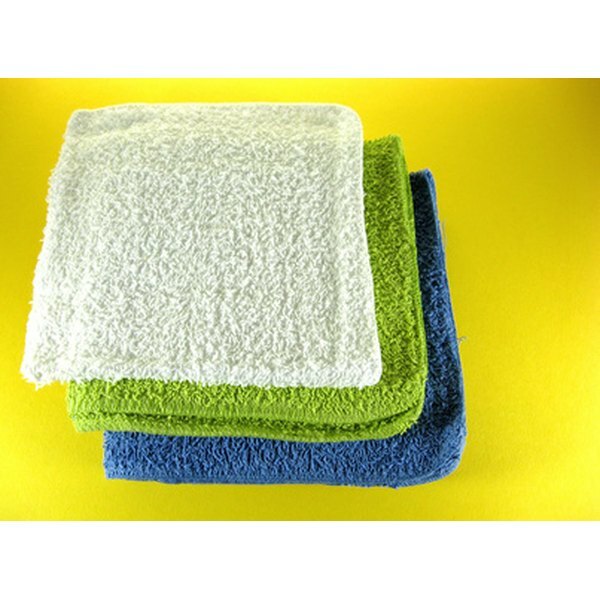 Soak a washcloth in very warm water. Make sure the water is not hot enough to burn. Wring the washcloth and place it over your face. Wipe the oil off your face with the washcloth once it cools. Rinse the washcloth and gently remove any remaining oily residue. Splash your face with cool water. Pat your face dry with a towel. Katina Coleman is a research psychologist who has been writing since 2004. She has published and reviewed articles in various academic journals and consults on research projects related to health and education. Her research interests center on patient-doctor communication and cancer health disparities. Coleman holds a Ph.D. in psychology from Wayne State University.